Traditionally child sexual abuse has been perceived as a male crime, however, recent research suggests that a significant minority of offenders are female. While recognizing the importance of male perpetrators, this groundbreaking book places the behavior of these offending women into social context, challenging conventional perceptions of female offenders, femininity, and mothering. Including case studies and responses from professionals in the field, this key text highlights the problems inherent in protecting children and identifies ways in which we can develop a clearer understanding of the social processes involved through an analysis of the denial and minimisation used by female perpetrators. It offers a critical understanding of the notions of harm, the rights of the child, and professional practice while defining some of the limitations and possibilities of a feminist analysis of child sexual abuse by women. 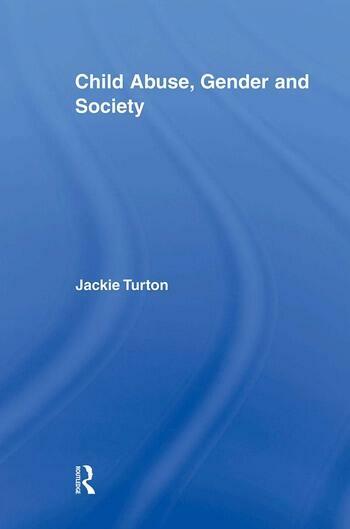 Jackie Turton has taught criminology and sociology at Essex University since 1995 following a career in the health service. She has undertaken qualitative research for the Home Office and Department of Health.